Home Cherry Mobile Phones & Tablets Cherry Mobile Fusion Breeze the Cheap Tablet! 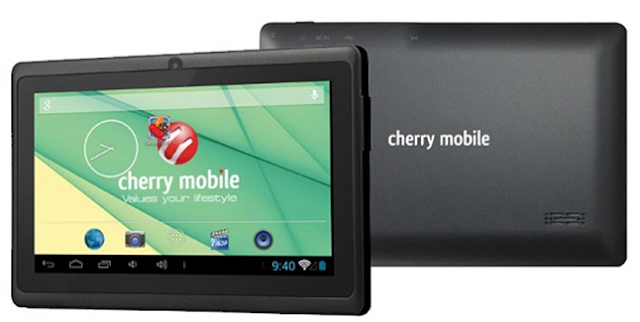 Another cheap tablet by Cherry Mobile soon to be available on Christmas Season. For only Php1,999, a 7-inch Cherry Mobile Fusion Breeze can be had, it equipped with 1.2Ghz single-core processor, 512MB of Ram and running with Android 4.2 Jelly Bean. At the affordable price of Cherry Mobile Fusion Breeze, just expect that if running with the recently released games it slow down the tab. And the 4Gb internal memory of this is not enough but you can add up to 32Gb via MicroSD slot, so I recommend that you have to buy a MicroSD card because nowadays video and apps getting so large. There's also a 1.3-megapixel front camera and no rear camera. If you find that the specs above is lacking you can check out the Cherry Mobile Fusion Storm. A 7.85-inch multi touch screen tablet that has a bigger internal storage and better camera.